Free Kids Games - Get Moving! Looking for fun, free kids games that will get your young ones off the couch, away from a media screen, and having fun while burning energy the old-fashioned way? You've come to the right place! On this site, you'll find loads of fun activities that will get your kids running, dodging, tagging, kicking, throwing, and a whole lot more! The games listed below are organized by sport and skill focus. Since most games require a combination of skills, you'll see that many of them could fall into multiple categories. We've done our best to group them so that you can find the perfect kids activities for your situation. Just click on the game you're interested in, and you'll find quick and easy instructions, tips, and ideas for modifying each game to fit the needs of your participants. With some minor tweaks of the rules, set-up, and equipment you can accommodate groups of different sizes, ages, and skill levels. It's important to consider ways to make the activities accessible for those with special needs or disabilities as well. No one should be left on the sideline! 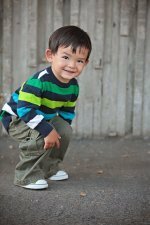 Find lots of age-appropriate activities for babies, toddlers, and preschoolers as well. We've also included the basic rules of some of the more popular, traditional team sports that will allow you to get a quick pick-up game or backyard game going in no time. Check back regularly because we're adding more cool games all the time! Our wide selection of fun games is guaranteed to get your kids moving around and having fun while improving their motor skills and getting fit! There's a group of young kids in our neighborhood that spend a lot of time outside, running and playing from yard to yard. Occasionally, they're chasing balls or riding toys in and out of the street. I love it! 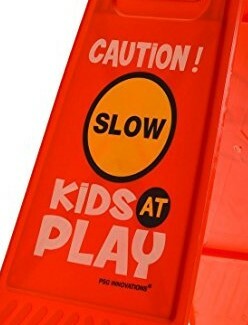 But we've also got some teen drivers in the area and others who are in a hurry or aren't paying attention, so it's not a bad idea to stick a safety sign out front in the yard or driveway. If you're hosting an event like a party, family reunion, or team gathering, you’ll find free kids games perfect for those situations as well.